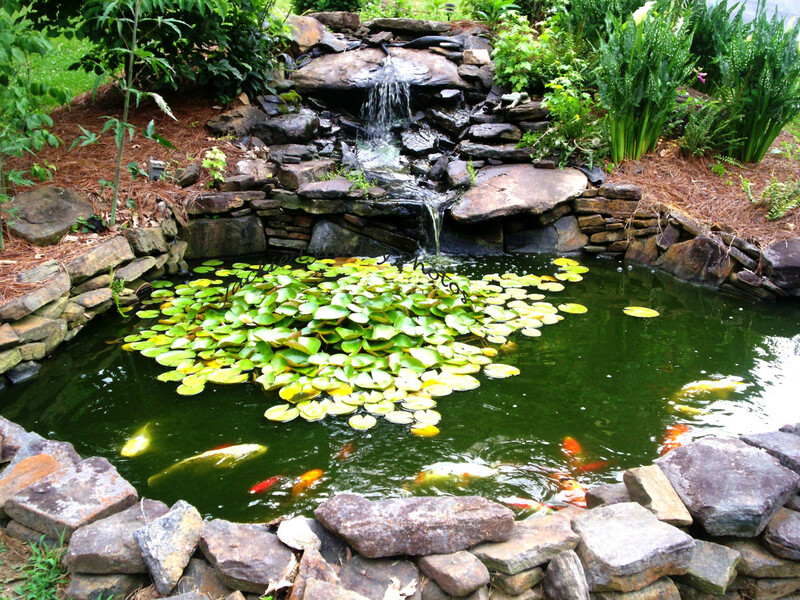 Garden ponds add a beautiful and peaceful focal point to any garden. They are easy to maintain and fun to watch, and if you have children ponds can also be educational. 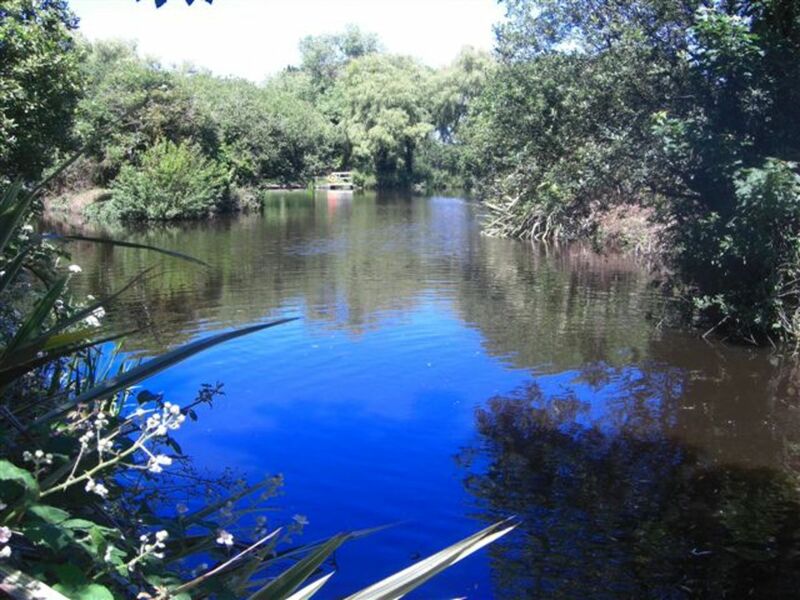 Ponds allow you to do your bit for the environment. Certain aquatic plants are great for attracting moths, which are the perfect food for bats. Birds will bathe in the pool shallows. Water beetles will quickly move in and make themselves at home. And amphibians will prove to be fascinating, especially in spring when frogs and toads need ponds to breed in. Frogs and toads spend much of their lives out of water. However, they often prefer to be near water and will enjoy the shade provided by marginal plants. Building a pond is easier than you might assume. Amphibians need to be able to climb out of the water easily, so the sides of the pond need to be created with a gentle slope down to the first level. You can add as many descending levels as you wish, but the deepest part of the pool need only be around calf-deep. 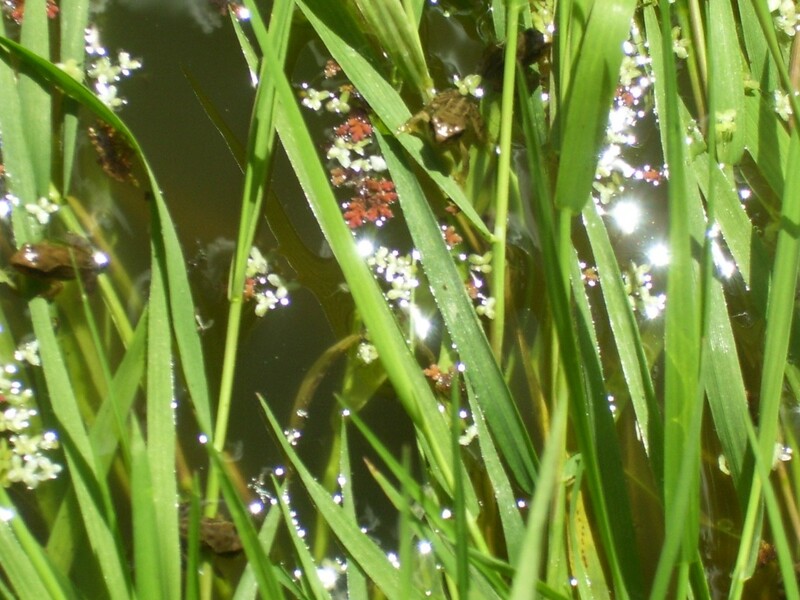 Tadpoles prefer swimming in sun-warmed shallows anyway. There will be some digging involved, and that can be hard work. But nobody need try to dig it all in one day. 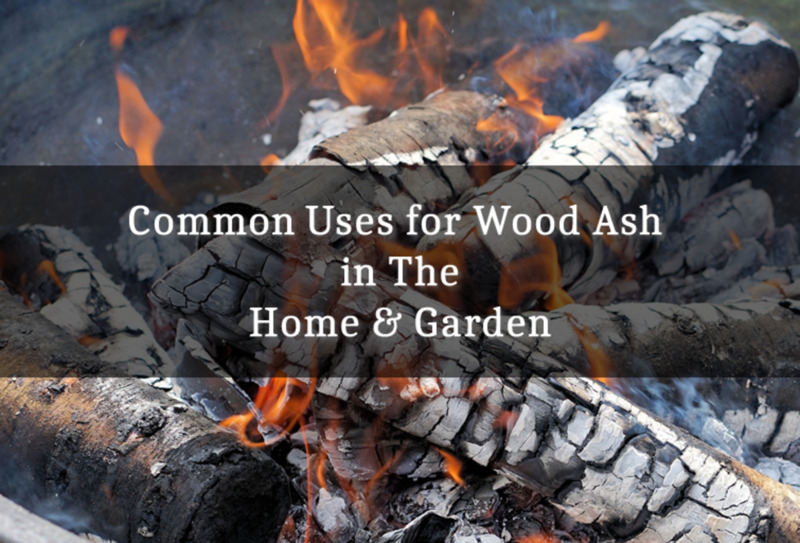 Choose a site which is not too close to trees, as their leaves will litter the pond in autumn and you will have to scoop them out. 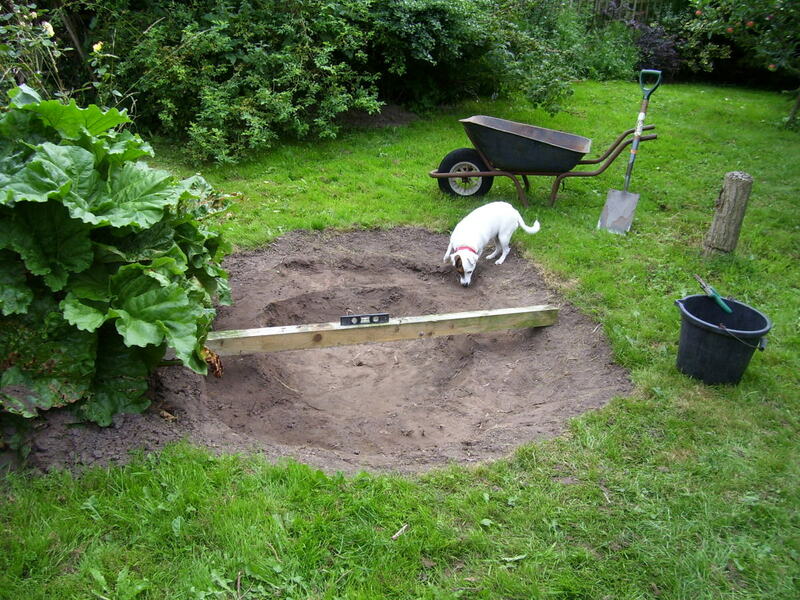 If your garden has a natural slope, use this to your advantage and site the pond in a hollow. In my garden, the hollow is next to our rhubarb patch, and this plants big leaves will provide ready shade for amphibians from spring until late autumn. Would You Make a Frog Pond? Yes! I already have a pond. I'm planning to make a pond soon. Maybe, if I can find the time and energy! I'd like to, but I don't have a garden. No way - frogs give me the creeps! There are seven species of amphibians native to Britain. These are the Common Frog, the British Pool Frog, the Common Toad, the Natterjack Toad, the Smooth or Common Newt, the Palmate Newt and the Great Crested Newt. There are also several alien species. The British Pool Frog was extinct for a while but has been reintroduced in Norfolk. While the Natterjack Toad and Great Crested Newt are on the official endangered species list, all amphibians are under huge pressure primarily due to pollution and loss of habitat. 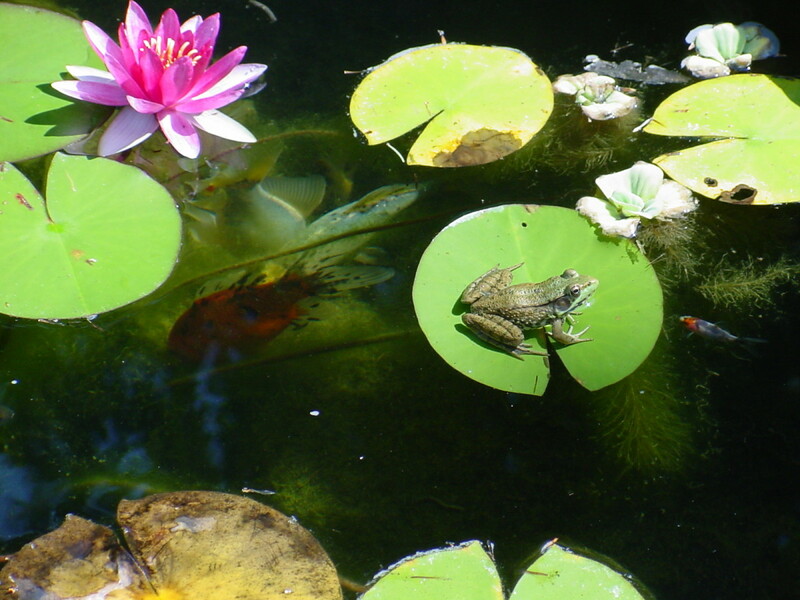 By building a small pond in your garden, you can do your bit to help save amphibians. Purchase pond underlay and liner. Mark out a simple shape. Check the pond sides are level. The wildlife will turn up when its ready! Mark out the shape using whatever is already available - spare bricks, a child's skipping rope, an old washing line etc. Keep the pond's shape simple. 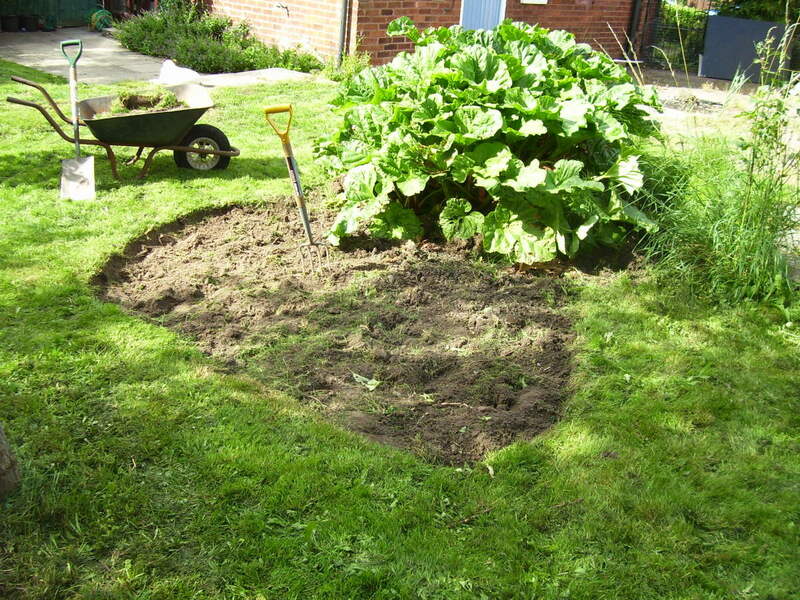 A fiddly shape makes it more tricky to lay the underlay and liner, and natural ponds tend to be simple shapes anyway. 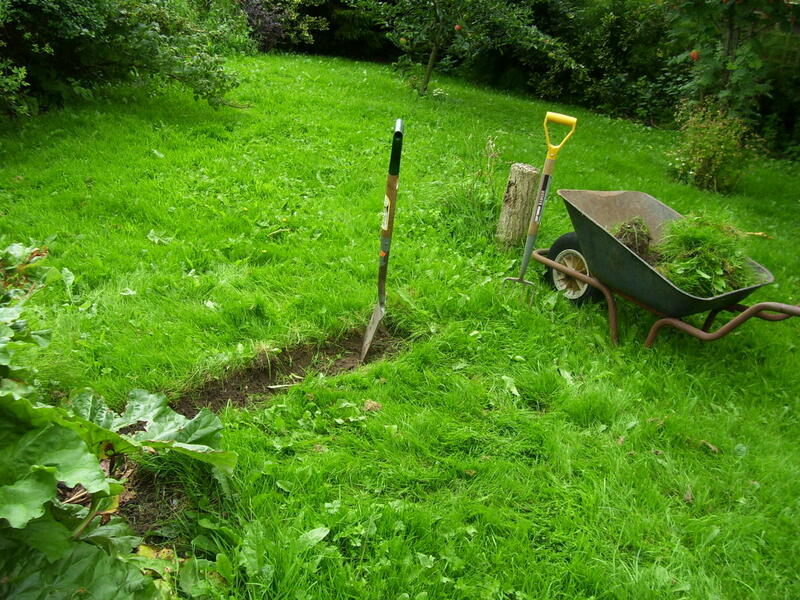 Begin by removing the turf, which can be recycled by adding it to your compost heap. If you plan to have grass edges around the pond rather than a stone edging, then set some turves aside for this. Before I researched how to build a frog pond I had the idea that it would have to be really deep. This isn't true, but be aware that if you plan to add fish of any species then the pond's depth will be more important as healthy fish have different environmental requirements from amphibians. 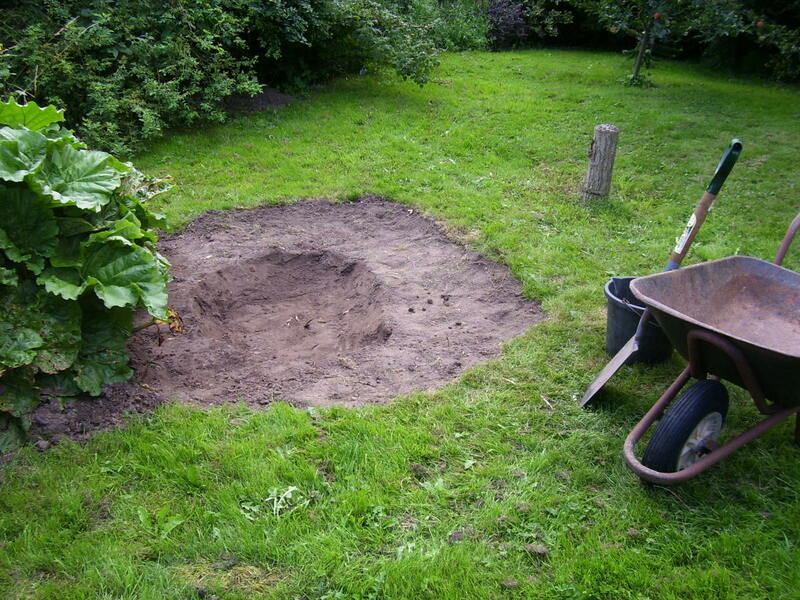 Soil removed from the pond, as you dig, can be dispered around the garden. 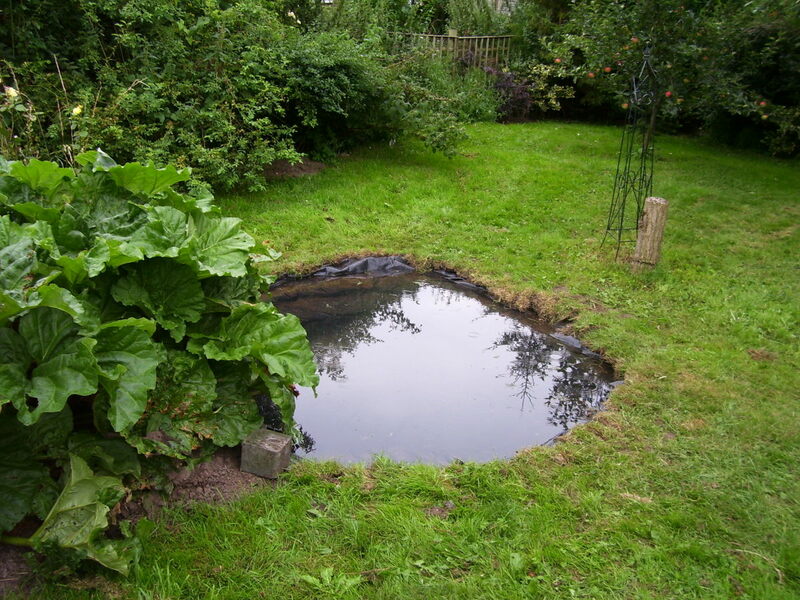 My pond is sited next to our rhubarb patch as this plants big leaves will provide plenty of shade for any visiting amphibians from early spring onwards. The pond's sides bank gently down to the first of three levels. If you use one of these, or something similar, be sure to add a 'frog ladder' - a stable, sloping stack of clean bricks or rocks - so amphibians can climb out of the pond again. In the photograph beside this column, you can see the levels of the pond starting to take shape. Note how the pond's side slope down, so it's easy for amphibians to move in and out of the pond. Between the deepest level, which is taking shape in the image, and the highest part of the slope, I added another level. In this way, water temperatures will have more variation - the deeper a creature swims, the cooler it will get - the aim being to offer more protection from hot sun. In the photo below, you can see how the middle level has been created. 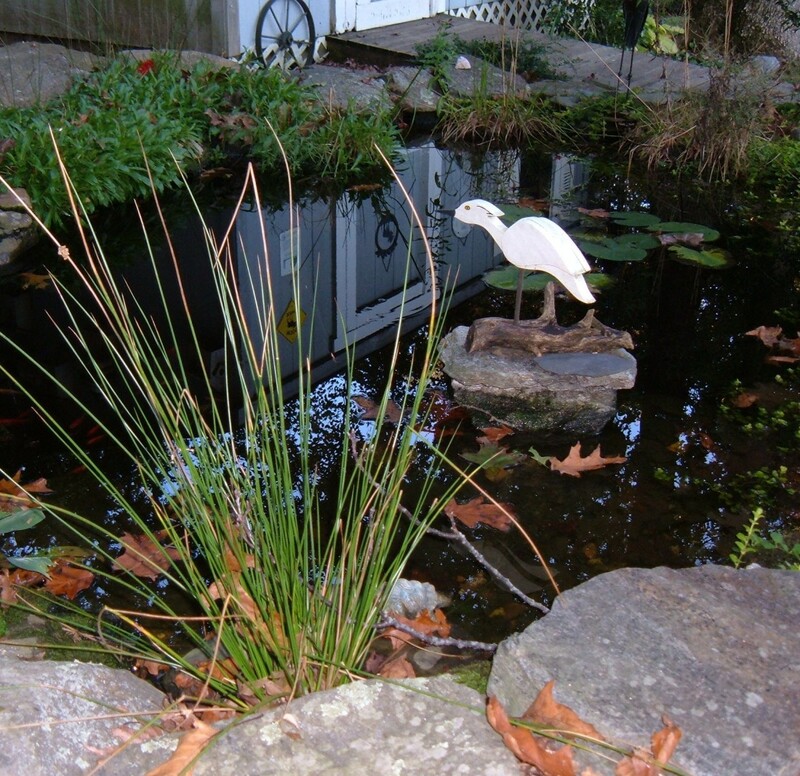 Water will find its own level, so if one area of your pond sides is lower than the rest the water will escape. To avoid this, check the levels of the pond sides as digging nears completion. Lie a spirit level on a level plank to check levels, and move the plank around the pond to check levels all around the edges. It's much easier to make any alterations now than after you've added the liner and water. After all the hard digging is done, now it's time for the fun part. Mind what you wear on your feet, as the last thing you need is to tear a hole the pond liner. After all stones and roots have been carefully removed from the pond site, roll out the underlay and use your hands to press it into place. 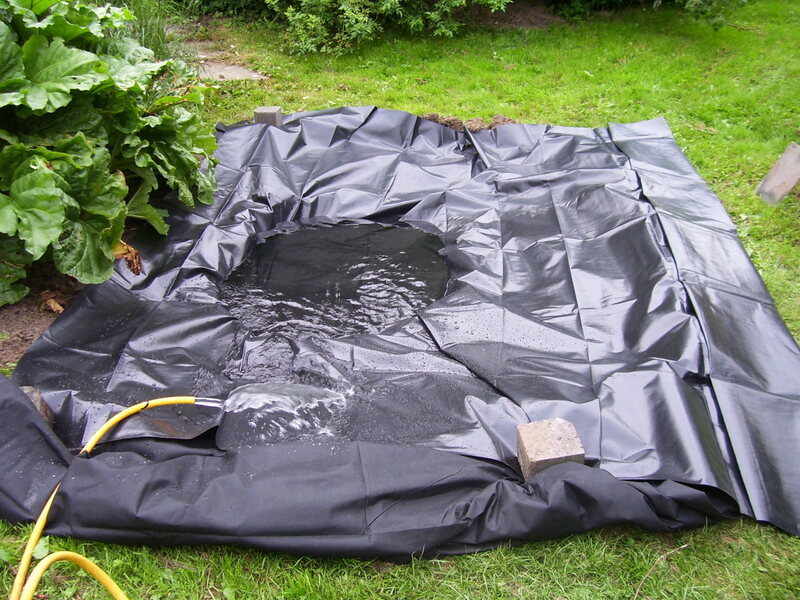 Then do the same with the pond liner. Press it into place as closely as you can, trying to smooth out wrinkles as best as is possible. Then add water! Rainwater is best, as (in theory, at least) it contains less chemical additives than tap water. Make any adjustments to the liner as it begins to fill. Once full, you won't be able to do this without bailing-out the pond again. Let the water settle for a few hours. This gives time for some of the chemical additives from tap water to evaporate, apparently. Meanwhile, you can now trim the underlay and liner, and go ahead with tucking these under the turf for a natural look, or laying stones around the edge of the pond if you prefer. Now you're ready to add some aquatic plants. 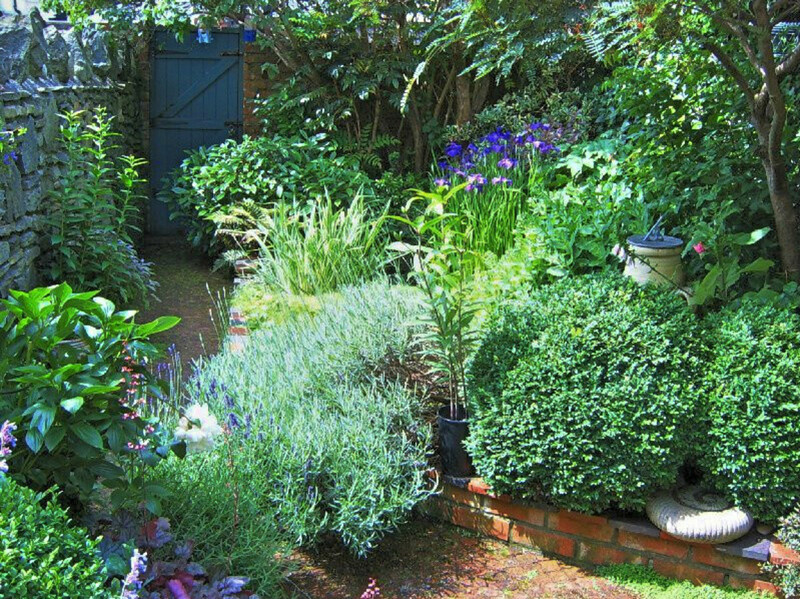 The choice of plants is huge, and is entirely down to budget and personal preference. Some plants require planting in aquatic baskets, other simply float around by themselves. Plants help to keep algae under control. Oxygen in the water does this too, which can be added by installing a solar-powered fountain - though these tend only to work in direct, very bright sunlight. A Frog Pond is Born! This very short video captures how my frog pond looked at the end of August, 2013, when I had just added the very first plants. In the water you can see pennywort, water soldiers and fairy moss, though obviously the pond needs planting up much more than this. 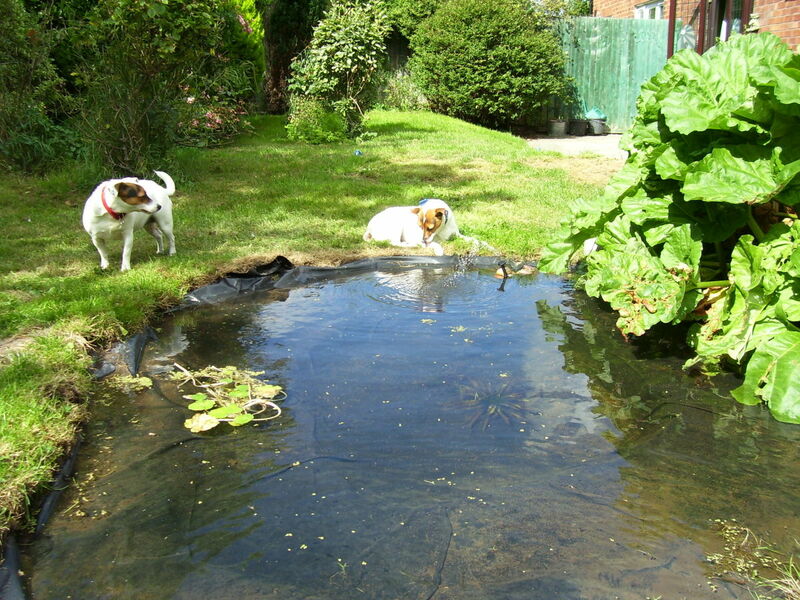 The recommended aim is to have the pond three-quarters planted so as to offer amphibians plenty of cover, as they like to hide from predators, fierce sunshine and cold conditions. Looking at the video, you can see the three different levels of the pond structure - shallow, middle and deeper. You can also see my silhouette get in the way of the image...! 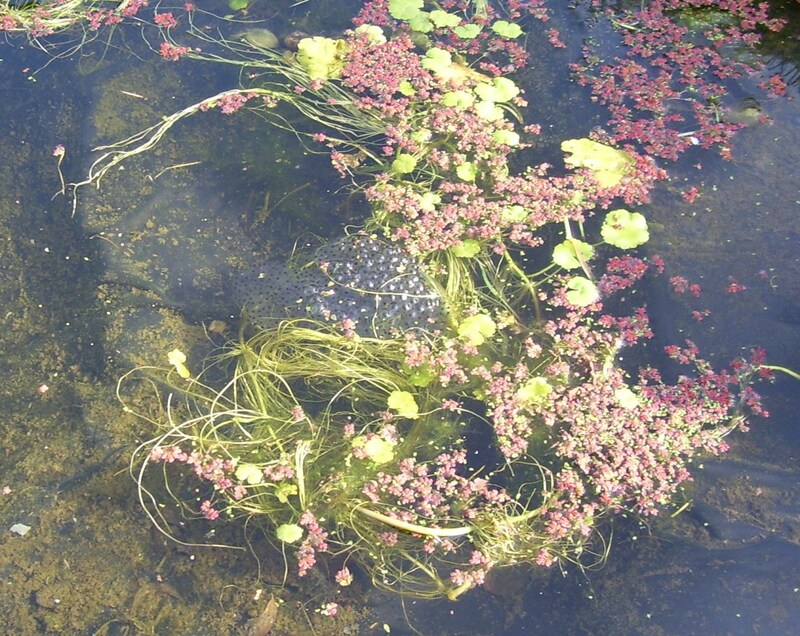 The pond's first springtime, and there's a crop of frog-spawn already. The garden was a wild tangle of waist-high grasses, weeds, brambles and mare's tail when my husband and I bought our home on the Wirral peninsula in 2000. See how it's changed! 2 years ago from Wirral, Cheshire, England. Thanks for sharing your frog story! Thank you, Linda; you're welcome. 3 years ago from Wirral, Cheshire, England. Thanks for your kind comment, Lizolivia. Anndelise, I have not noticed any issues with poisoned frogs. However, I also made sure the rhubarb leaves weren't hanging in the water so they wouldn't rot and add a minor algae issue in the pond due to not having enough pond plants. I put in a frog pond a couple of weeks ago. Today I bought some rhubarb, to provide some cover for the frogs. But on the way home I was told that rhubarb leaves are toxic to amphibians. Have you had any problems between your rhubarb and frogs? You make this look much less complicated than I thought it was to put in a pond. I need to make a pond for the frogs in the yard that help with the vegetable gardens. Your illustrations are very helpful. 5 years ago from Wirral, Cheshire, England. I'd like to thank everyone for all their kind comments about this Hubpage. Re. mosquito control. Add two or three goldfish! They will eat some of the tadpoles too, however, but the shallowest margins of the pool - which is where taddies like to swim anyway - should provide sanctuary for them. I keep thinking about a pond and a frog pond would be great. Love to hear the sound of frogs at night! Thanks for the inspiration! Wow, impressive and so cool. Love how your doggie was checking it out. I like the idea of different levels. Perfect for the frogs. I've been wanting to add a water feature to our yard for quite awhile. Thanks for the informative and easy steps to do so. Now all I have to do is DO IT. Great hub. 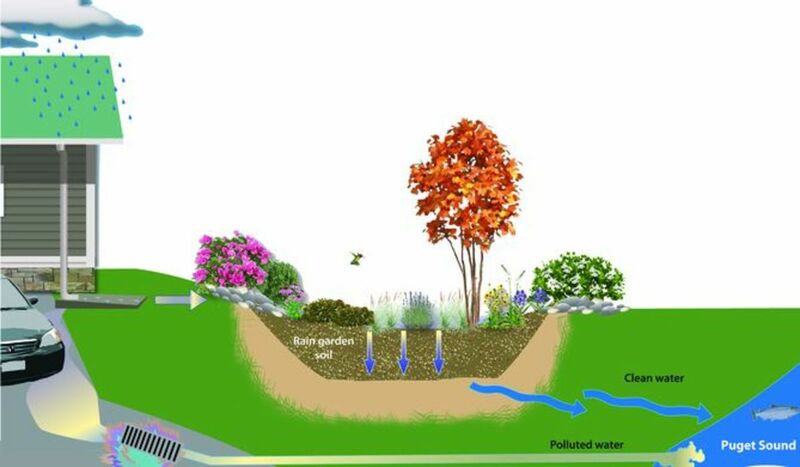 Your pond looks beautiful and the step-by-step explanation you gave was great. I'd wondered the same thing about the mosquitoes since we're having outbreaks of West Nile Virus here in Texas, spread by them. Glad to hear the the frog population keeps them under control. Congratulations on your HOTD award. Nice and natural looking, just as I like it and I assume the sloping slides are also less dangerous for children? If I ever have a garden, I'll have a go! Might add some goldfish though. Thank you for all your kind comments about this Hub and about being chosen for Hub of the Day. You Aced this tutorial with the inclusion of great, clear images, and video. And I'm sure Poppi was a great help too. Thanks for sharing. Voted up and useful. What a beautiful Hub! Congratulations on Hub of the Day. I love this tutorial and would certainly use it. One time I had a plastic swimming pool in my backyard when my children were small, around toddler stage. The pool filled with rain water when we had a lot of rain. I went outside to empty it and there was a frog living in it. The water had gone down and stayed at one side. So the frog had a nice little area for swimming, and a dry area when he wanted out. It was such a neat thing that happened naturally. Love your frog pond so nice. Congrats on HOTD. I actually have two small ponds, one for fish and one for frogs. I have to tell pstraubie that the fogs actually keep the mosquito population down, they love to eat them! 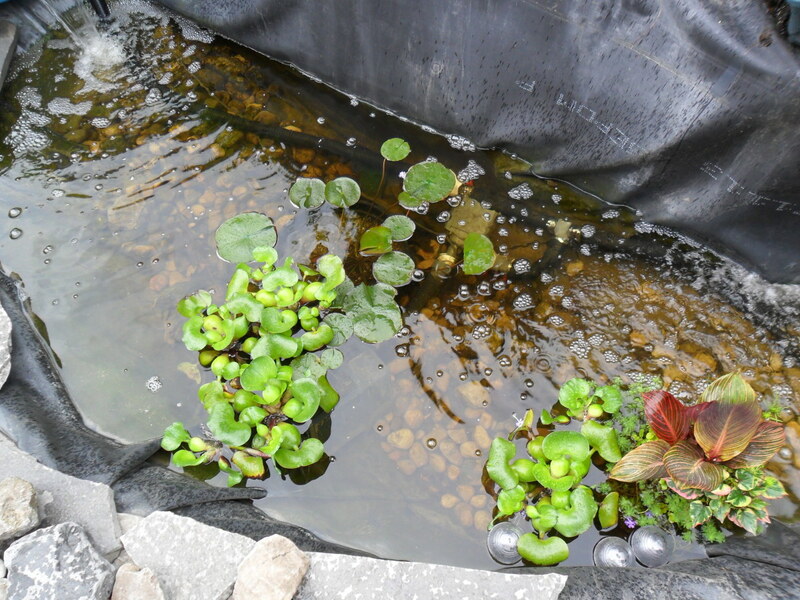 I wrote a hub about making your own backyard pond and it too won a HOTD award. You've done a great job and certainly deserved the award. Nice step by step explanations and photos and of course your video! Voted up, useful, and interesting. You have clearly explained how you made a frog pond. We have a pond, with frogs and fish and lots of plants. It's great to see it in the summer. Hi I would love to have a pond but we have so much problems with mosquitoes already I just think it would be a whole new breeding ground for them. have you found that to be a problem? Maybe not so it was just so recently installed. I loved seeing your sweet Poppi helping out so nicely. Thank you, LongTimeMother; I've been enjoying watching the wildlife which is already paying visits to the pond. Congratulations on completing your new frog pond. Your hub gives a great explanation of how you created it!